Safetica prevents data leaks, so that your customer data doesn’t land in someone else’s hands. of a major data breach. Safetica helps you protect yourself. With Safetica, what’s yours stays yours. Safetica is a cost-effective, easy-to-use Data Loss Prevention (DLP) solution. 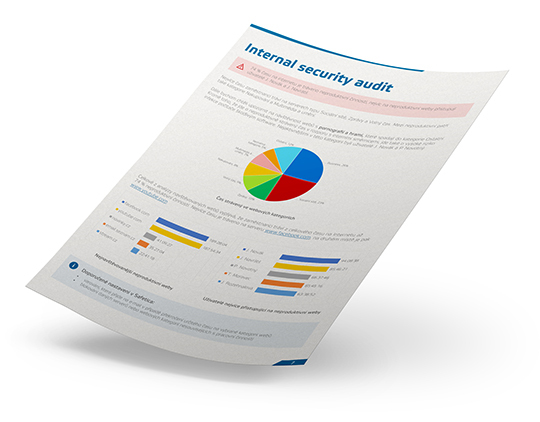 It performs security audits, prevents sensitive data from leaving your company and sheds light on what is going on in your organization. Safetica can be deployed in a matter of hours – it secures your information quickly and easily. Protect your critical data and control who can access it. Identify problems in internal processes and implement solutions. Discover how your employees work, print and use expensive software. Define which devices can be used and eliminate risks of BYOD. Easily comply with information protection security acts. The retail auto industry is extremely competitive, and customer databases are frequently leaked. BMW Invelt wanted to be absolutely certain that their customer data would stay safe. That’s why they chose Safetica. See how BMW Invelt protects their customer data with Safetica DLP.